In Canada, Monday, May 21, 2018 is recognized as a public (statutory) holiday known as Victoria Day, except in the Atlantic provinces (New Brunswick, Newfoundland and Labrador, Nova Scotia and Prince Edward Island). In Quebec, the public holiday is referred to as National Patriots’ Day (Journée nationale des patriotes). Typically, employees do get Victoria Day off with regular pay or public holiday pay (depending on the province or territory of employment). 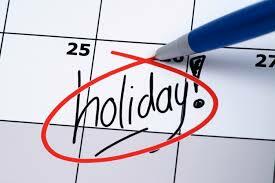 In the event employees are required to work on the public holiday, the employee must be paid regular wages and get a substituted day off with pay at a later date (again, this depends on the province or territory of employment). For specific requirements for your jurisdiction, consult one of our HR/Payroll publications, like PaySource® or The Human Resources Advisor, Ontario, Atlantic or Western editions. These resources are always up-to-date with the latest HR law/payroll developments and offers dozens of exclusive time-saving resources. They also provide you with a way to stay on top of the most important developments and trends in the world of payroll and employment law. Victoria Day is not a public holiday recognized under employment/labour standards in New Brunswick, Newfoundland and Labrador, Nova Scotia and Prince Edward Island. That means employers don’t have to give their employees a paid day off. Although, in these provinces, a day off may be granted to retail industry employees under the Shops Closing Act or similar legislation. In Nova Scotia, Victoria Day is not a designated retail closing day. Retail businesses and stores are not required to close and retail employees do not have the right to refuse to work. New Brunswick does consider Victoria Day an unpaid day of rest under the Days of Rest Act. The Days of Rest Act identifies specific days during the year that businesses must be closed and requires retail industry employees being granted a day off. Government offices are closed as well. However, some businesses such as gas stations, restaurants and hotels can stay open. Many recreation and cultural places such as arenas, cinemas and museums, can also stay open. Emergency services are not affected by the Days of Rest Act closures. In Prince Edward Island, Victoria Day is not a retail holiday and shops are free to open. In Newfoundland and Labrador, shops and retail outlets are not allowed to open, with some exceptions under the Shops Closing Act. The day off is not necessarily a paid day off. Government offices are closed as well. That said, employers in any of the Atlantic provinces may agree to provide employees with Victoria Day as a paid holiday and the Ministry of Labour, Labour or Employment Standards Division could enforce such an agreement. There are various rules and exceptions in relation to Victoria Day retail hours, based on jurisdiction and type of retail store. Therefore, retailers should ultimately consult with their local municipality or provincial/territorial government to ensure that they are not violating any laws. Why is Victoria Day recognized in Canada? Victoria Day has been predominately known to honour Queen Victoria’s birthday. Although, the holiday is also dedicated to celebrating the birth of Britain’s reigning monarch, Queen Elizabeth II (whose actual birthday is April 21). Victoria Day was established as a holiday in the Province of Canada in 1845, before confederation in 1867 and Queen Victoria’s death in 1901. Victoria Day was later made a national holiday in 1901 and first observed on May 24, 1902. Prime Minister Wilfrid Laurier had designated the public holiday to fall on May 24, Queen Victoria’s actual birthday. In 1952, Parliament declared that Victoria Day would be celebrated on the Monday proceeding May 25 every year. Victoria was Queen of the United Kingdom of Great Britain and Ireland, as well as Empress of India. She was only 18 when she inherited the throne in 1837. Queen Victoria was the last teenager to rule England.